Penny Dreadful, one of the biggest cable TV debuts in 2014, looks to be getting the trading card treatment in the not-too-distant future. Cryptozoic has landed the license for the show. A literary mash-up of sorts, the dark Showtime series includes characters from several classics including Frankenstein, Dracula and The Picture of Dorian Grey. Other than the license acquisition, no details about set specifics or a timeline for release has been announced. For those looking at potential autographs, the show's cast includes Eva Green (300: Rise of an Empire, Casino Royale), Josh Hartnett (Black Hawk Down, Pearl Harbor) and one-time James Bond, Timothy Dalton. 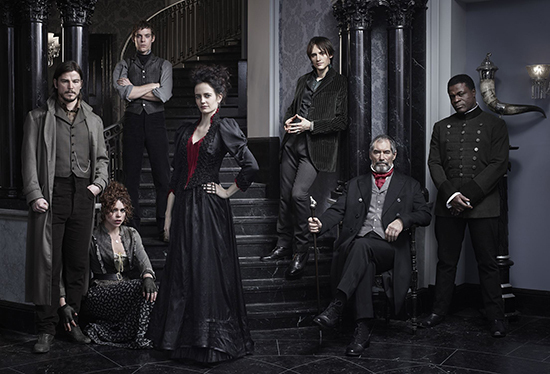 Besides trading cards, other licenses for Penny Dreadful collectibles announced by CBS Consumer Products include action figures from Bif Bang Pow, high-end fashion dolls, a Clue-style board game and replica tarot cards.